Coventry Modern Flotation System with Fast Free Shipping! 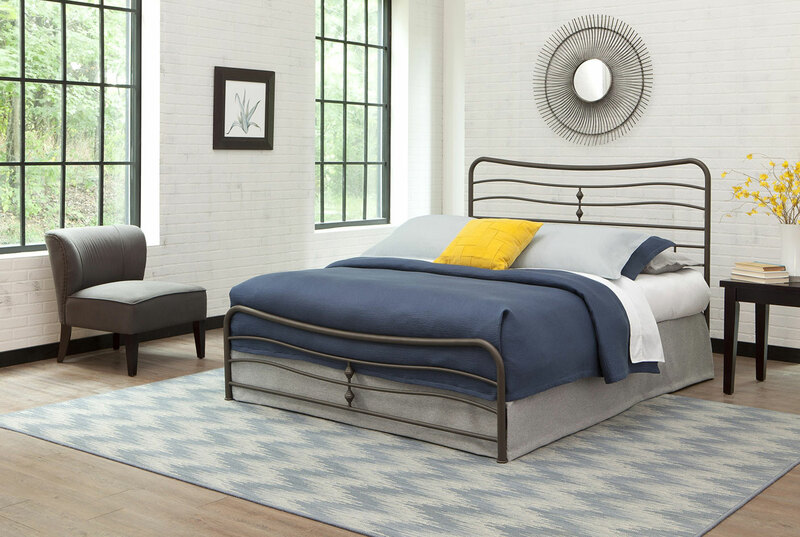 This transitional style bed features flowing curves with a set of castings in the center of the headboard and footboard. The Coffee finish enhances the subtle design of this bed. The Coventry Flotation System includes: Headboard, Footboard, Frame, Support Rails, 8" deep plush-top soft side mattress and 9" foundation for a complete modern flotation system. Available in Queen, King and Cal King sizes. 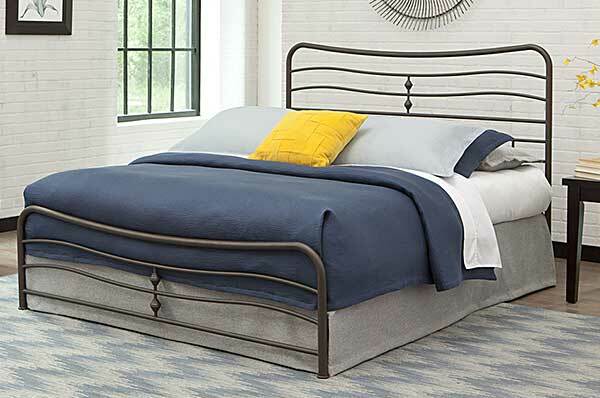 The Coventry Easy-To-Assemble Bed Includes: headboard, footboard, side rails. (Does not include mattress).